I love the way these shirts look & fit. great shirts with good wash and wear characteristics and very reasonably priced especially for the quality. Response from Charles Tyrwhitt: With your entire order of five shirts being shipped together in one parcel back in early December, it is certainly worrying that you are missing two of the shirts from it. Unless there were signs of damage/tampering with the parcel when it was received, I can only assume these were, sadly, missed when your order was picked. This would be most unlike our Warehouse Team and I am sorry for the error. Replacements have now been arranged for both the missing shirts and these will be shipped to you shortly. Thank you for alerting us to this and I trust you will soon be enjoying every shirt. This is partly my fault as I thought all 3 shirts I ordered were non iron. When the shirts arrived my wife washed all 3. The 2 non iron shirts were awful. Incredibly wrinkly. It took forever to iron them and even then they still did not look as good as the non iron shirt.Perhaps they might look better if I use starch. To be honest I probably won't ever wear them just because I don't want the hassle of extensive ironing or taking them to the dry cleaner. 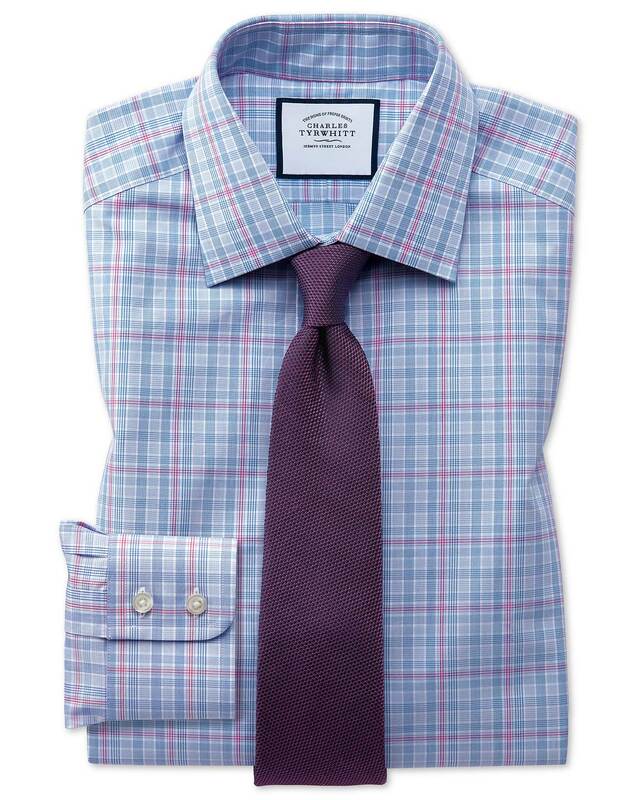 Response from Charles Tyrwhitt: I am sorry to hear that your new shirts were not as expected, I can certainly understand that it would be a bit of a hassle to work with when you were expecting Non-Iron shirts. Please remember that we have a six month guarantee for all of our items, regardless of wear, so you are most welcome to return or exchange these shirts so that you can make the most out of your purchase. Response from Charles Tyrwhitt: We would love it if you were 100% happy with every product you ordered. We always want to provide our customers with the best possible product so I'm sorry we have disappointed you with the fit. I can see you have organised an online return and hopefully you are happier with future orders from us.